Reynolds American and Lorillard announced a $27.4 billion merger on Tuesday that will bring together the No. 2 and No. 3 U.S. cigarette makers. The deal means the Camel and Newport brands will be owned by the same company. Tobacco use among Americans has been declining steadily in the face of health concerns, growing restrictions on where people can smoke or buy cigarettes and increased government anti-smoking campaigns. Smoking declined from 24.4% of the adult population in 2005 to 17.3% in 2012, the U.S. Centers for Disease Control estimates. Earlier this year, drugstore chain CVS (CVS) announced it would stop selling tobacco products. Still the tobacco companies are very profitable, providing investors with large dividends and strong stock gains. Those who continue to smoke are willing to pay whatever it costs to buy cigarettes. "The trend over the past 30 years is that [even] when demand goes down, the tobacco companies can raise the price and produce more profit," said Gerry Sullivan, portfolio manager of the Vice Fund, a mutual fund specializing in tobacco, alcohol, defense and gambling stocks Lorillard was his top holding. The combined company, which will keep the Reynolds American name, is expected to have $11 billion in annual sales and about $5 billion in operating income. The merger will allow the company to cut costs and improve profits, and could very well spark other deals. "The Lorillard deal could be the first of several tobacco mergers," said David Bechtel, principal with Barrow Funds, which has Reynolds, Lorillard and Altria among its top 10 holdings. The merger creates a stronger No. 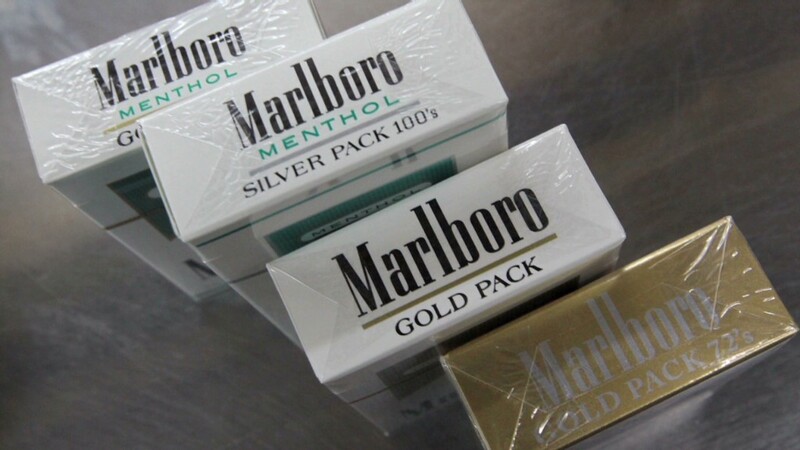 2 to market leader Altria (MO), maker of Marlboro, the nation's best-selling cigarette brand. It also gives Reynolds a stronger position in the menthol and e-cigarette segment of the market, two areas of strength for the industry. While e-cigarettes have only a small portion of the market today, they are growing rapidly. That growth is helped by the fact that e-cigarettes aren't subject to laws that ban the advertising of traditional cigarettes or their use indoors. And other new tobacco products are in the pipeline. Reynolds and British American Tobacco are partnering to develop tobacco vapor products and "heat-not-burn" cigarettes -- in which the tobacco is heated enough for the smoker to get the flavor and nicotine hit, but not enough to catch fire. The merger of Reynolds (RAI) and Lorillard (LO) had been rumored since the end of February. It has the support of the boards of both companies, as well as British American Tobacco (BTAFF), the largest shareholder of Reynolds. Reynolds and Lorillard said they will each sell off some of their other brands as part of deal. Imperial (ITYBY), the fourth-largest international tobacco company, has agreed to purchase KOOL, Salem, Winston, Maverick and blu eCigs in a separate $7.1 billion transaction. While the new company is selling Lorillard's blu eCigs, it is keeping Reynolds' VUSE e-cigarette offering. Selling those brands could reduce antitrust objections from regulators. "Definitely this was structured in a way to appease the regulators, but you never know until a deal is approved," said the Vice Fund's Sullivan. He said there is probably about a 20% chance the deal could be blocked. Shares of Reynolds and Lorillard were both lower in early trading after the announcement. But both companies' shares have been posting significant gains since the first reports of the merger talks earlier this year: Reynolds is up 26% through the close of trading Monday, while Lorillard is up nearly 33%.